More and more, robots are becoming a bigger part of our daily lives. It’s only natural that we’ll soon be watching them do battle in sports arenas and on TV. Here are some possible robot sports of the future. We all have hopes for future technology, whether it be flying cars, infinite youth, or fighting robots. Fighting Robots? Of course! Who doesn’t love giant robots fighting each other? We’ve all seen the show Battle Bots (Vlad the Impaler was a monster), which has made quite the resurgence lately. They have a whole new generation of robots taking each other on every week. 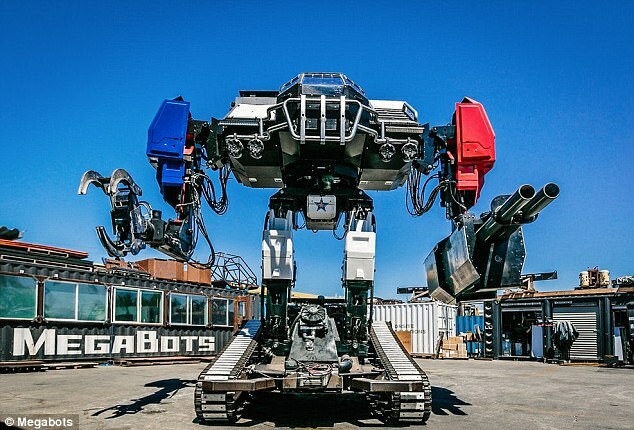 If you want something even bigger, MegaBots is the next generation of fighting robots. MegaBots are 15-foot-tall, internally piloted humanoid robots that fire cannonball-sized paintballs at each other at speeds of over 120 miles per hour. These massive bots fight in stadiums rather than UFC type cages. It’s almost like the movie Pacific Rim coming to life. 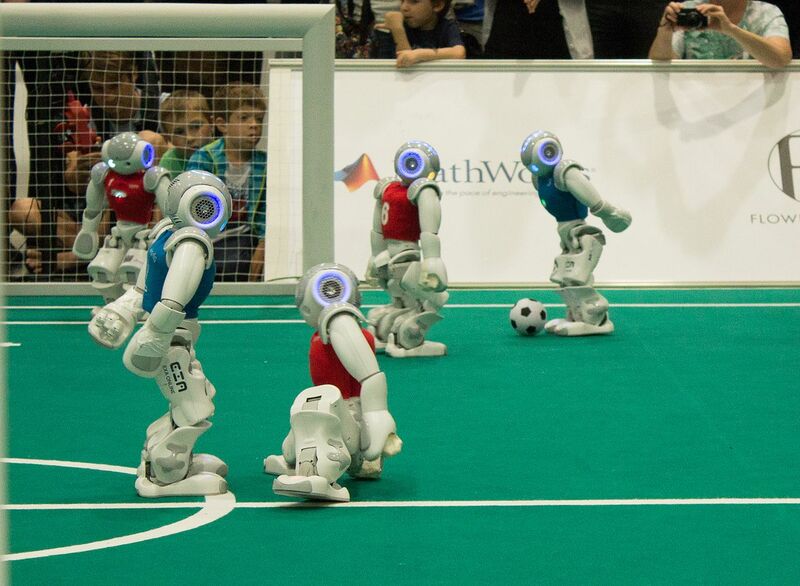 Soccer is the world’s most popular sport and now robots are joining the action. Their skills aren’t on par with the Messi’s and Ronaldo’s of the world but the technology is constantly improving. 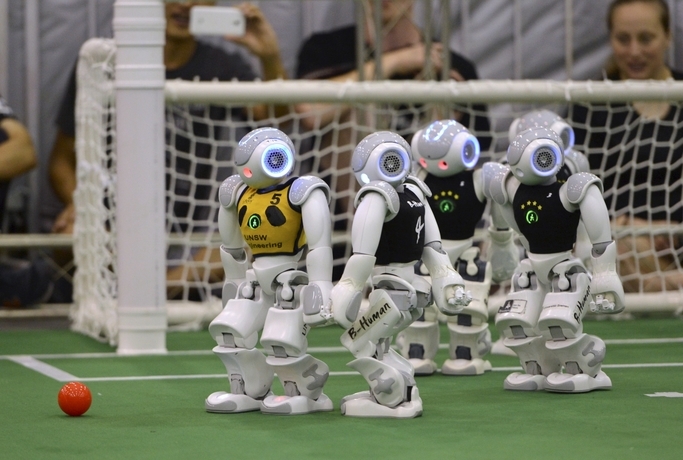 There is even something called the RoboCup which features all types and sizes of robots competing on the soccer field. The robot soccer teams have gotten some big-time sponsors like JP Morgan. RoboCup states that this landmark project is not just a robot sporting event but a vehicle to promote robotics and AI research. Now current soccer players don’t have to worry about a team of robots beating them but there is probably a toddler soccer prodigy or two that may have a big challenge in about twenty years. While the world’s top athletes were competing at the Winter Olympics in South Korea, another competition was going on right nearby at Welli Hilli ski resort in Hoenseong. This is where the Ski Robot Challenge was taking place. In fact, While their human counterparts were suffering the frustration of seeing events canceled in Pyeongchang because of adverse weather, the robots had no problem skiing in the high winds and snow. 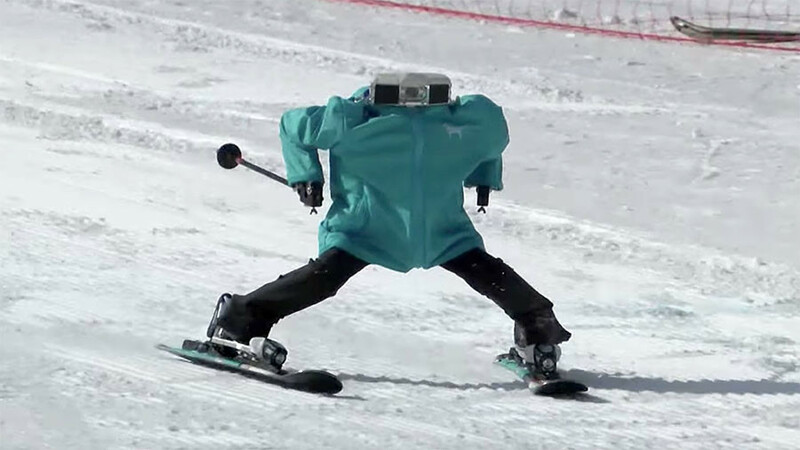 These ”Skibots” stand on their own two legs, bend their knees and elbows and use skis and poles just like human skiers. Thanks to machine learning, sensors enable the robots to detect the flags on the course which they had to navigate through. Results were mixed as some robots navigated the course flawlessly while others wiped out or veered completely of course. Robots that can walk and even run is one thing, but navigating a course on snow and changing weather elements is a completely different animal with additional challenges. Sumo wrestling has been popular in Japan for centuries and now robots are getting into the mix. There have been numerous tournaments and competitions. 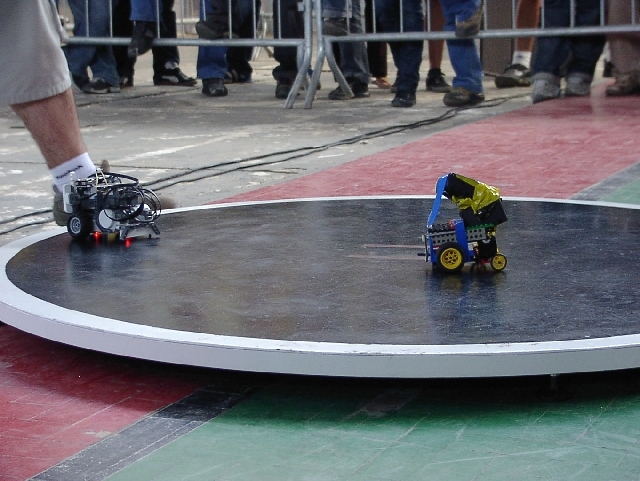 The sumo robots are separated into size classes and they are further divided into remote-controlled and autonomous robots. These robots use sensors to find their opponent and attempt to stay within the confines of the circle. They use every tactic from outflanking, pushing and scooping. For now, the robots are pretty small, but they are super fast and ultra aggressive. Love ping pong but have nobody to play with? 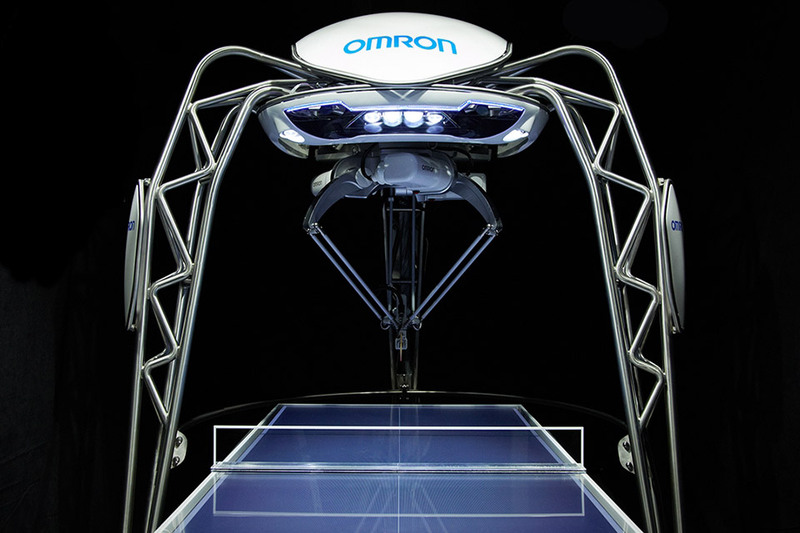 Meet FORPHEUS, the artificially intelligent Ping-Pong robot by Omron. It’s not a scary robot, but more of a helpful one. Forpheus’s robotic arm hanging onto a paddle always returns the volley and never gets tired. It also serves and takes smashes. FORPHEUS can even tell if you are having fun or not. The sensors on the top of the robot actually watch your face and interpret your expressions. A smile means fun. A frown means to you are having trouble. For now, Forpheus has only played humans but how long will it before another company builds their own robot. Could we see two super robots playing the mother of all ping-pong battles? Something like this could last hours and may only end when one of the robots simply shorts out. Check out some of our other articles.